Oily Skin? These 15 Moisturisers Will Give You A Shine-Free Glow! If you have oily skin like me, then I’m sure that you’ve made the colossal mistake of skipping out on moisturiser at some point. “Why make oily skin MORE oily?” you’ve probably thought. Only to realise that your skin is still extremely oily and angry breakouts are *still* erupting on your face. Don’t worry, we’ve all been there and learnt the hard way—oily skin also NEEDS moisture and hydration. However, what kind of moisturiser you slather on your face is what makes all the difference. We’ve curated a list of 15 tried and tested best moisturiser for oily skin, that will *gasp* make your face less oily and ultimately reduce acne. This is my OG gel moisturiser and no matter how many new ones I try, I always find myself coming back to this one. The gel texture of this is smooth and buttery, and rubbing it on your face gives a cooling, luxurious feel. Honestly, applying this stuff on my face after I’ve cleansed and toned is the most relaxing part of my evening. Besides that, it gets completely absorbed into your skin in seconds, doesn’t leave your skin sticky and doesn’t break you out! While it may not have fancy anti-ageing or brightening properties, it does exactly what it says- moisturise your skin. And it does a damn good job at it! I first tried this product when I was visiting the United States last year and I remember feeling disappointed that it won’t be available in India. Skip to a few months later, and Neutrogena launched this much-loved no-fuss moisturiser in India! If you’re wondering why I like it so much, its because it is basically a cheaper alternative of the Clinique moisture surge. The main difference is that the texture isn’t as rich and luxurious as the Clinique, but it manages to moisturise and plump your skin without leaving it greasy. This is a great option for oily-skinned beauties! Not only does this moisturiser have a lightweight formula that won’t clog your pores, it also controls oil production that gives your skin a mattifying effect. It’s also loaded with antioxidants from green tea, which helps prevent acne. The star ingredient of this moisturiser, though, is the glycolic acid, which gently exfoliates dead skin cells, making your skin look younger and brighter. French pharmacy skincare needs no introduction, and Avene has a cult following not only in France but all over the world! Avene is known for its mythical thermal spring water, and of course, it’s a major ingredient in this moisturiser. Thermal Spring Water has soothing and anti-irritating properties, which are much needed in a moisturiser. Patented Glutamic Acid and Absorbent Microcapsules work together to control excess oil and mattify your skin, giving you a shine-free face! While we’re on the topic of French pharmacy, we obviously couldn’t leave out La Roche Posay- which is a great competitor to Avene. The one advantage that Avene has that it is readily available across pharmacies in India, while La Roche-Posay has been pulled from the India market. However, you can still find this brand online as long as you’re okay with paying extra shipping costs. This moisturiser is specially formulated for those with oily, sensitive skin, and it does a great job of hydrating your skin. Keep in mind, though, that this isn’t a ‘mattifying’ moisturiser, and you will be left with a dewy glow after application! If you’re wary of all the chemicals added to skin-care products, then you’ll love this moisturiser from Natio! Not only is it oil-free, but it is also formulated with Tamanu and Neem to help clear blemishes like acne and dark spots. And it controls the production of sebum, leaving you with hydrated but matte skin. If you find that gel formulas just aren’t hydrating enough for you and cream ones are too heavy, this moisturiser from Neutrogena will do the trick. While we are a major fan of the Hydro Boost, the milky, lotion-like texture of this will feel very soothing on your skin and give you an extra dose of hydration. And who doesn’t love some added SPF? This is another favourite among those who like a simple, fuss-free moisturiser. Its gel-like formula is non-greasy, and the aloe vera soothes and hydrates your skin. It’s also non-comedogenic, which means it won’t make your skin break out into a zillion zits. Its key ingredient, salicylic acid, tightens the pores of the skin and removes dirt from the skin. Nothing says light, oil-free hydration quite like aloe vera gel. While using an aloe plant is ideal, for those who don’t have access to it, this one by Lakme is the next best thing. Use this after you’ve been out all day in the sun, because aloe vera has natural soothing, cooling and anti-inflammatory properties. And the best part-it’s super affordable! If you’re looking for an affordable oil-free gel moisturiser, you’ve found it! Use this one if you prefer a shine-free look instead of a dewy one. The formula contains micro-sponges that help to absorb the excess sebum, which helps your skin control oil in the long run. Did we mention how cool it feels when applied? Use to calm angry, irritated skin. So you don’t like moisturisers that make your skin look completely matte, but you’re not a fan of shiny, dewy face either! Worry not, Glamglow has the perfect solution for you. This creamy pressed water balm is infused with pear, cherry tomato leaf, winter daphne flora that helps to deeply moisturise, replenish and restore skins’ barrier. You’ll be left with supple, nourished skin and a subtle matte-glow. If you have oily skin like me, then I’m sure that you’ve made the colossal mistake of skipping out on moisturiser at some point. “Why make oily skin MORE oily?” you’ve probably thought. Only to realise that your skin is still extremely oily and angry breakouts are *still* erupting on your face. Don’t worry, we’ve all been there and learnt the hard way—oily skin also NEEDS moisture and hydration. However, what kind of moisturiser you slather on your face is what makes all the difference. 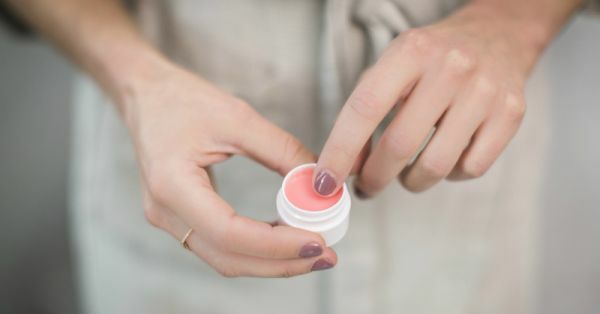 We’ve curated a list of 15 tried and tested moisturisers for oily skin, that will *gasp* make your face less oily and ultimately reduce acne. Thus, its a moisturiser for not only oily skin but also a moisturiser for acne prone skin. There’s nobody who does beauty better than K-beauty brands, and Innisfree is definitely a reliable one! This watery, serum-like moisturiser is meant to be an ‘essence-in-lotion’, but honestly, this can replace a moisturiser for oily-skinned people. Its light texture gets deeply absorbed into your skin, while the antioxidants from green tea help renew and revive your skin. If you feel that the moisture surge by Clinique is too light for you and you’re looking for something slightly heavier- try the hydroblur moisturiser instead. It’s got the same gel-creme formula, except the texture is thicker, leaving your skin feeling more moisturised. It also works as a great primer, as it blurs out your pores, making it a great canvas for your makeup! This is one of the best, fuss-free moisturisers in the Indian market when you’re strapped for cash. It’s oil-free, light and doesn’t make you greasy. Don’t be fooled by the lightweight formula, because it’s actually super hydrating. It’s also formulated with salicylic acid, which means it will keep acne and blackheads at bay. If you’re confused about your skin type, try this. As soon as you wake up in the morning, take a light tissue and dab it over your skin. If the tissue is soaked in patches of oil, you have oily skin, if there’s only a moderate amount of oil, then you have combination skin and if the tissue barely has any traces of oil, and your skin feels tight in the morning, you have dry skin. However, if you’re still confused, we suggest you see a dermatologist or an aesthetician. How do I know a moisturiser is for oily skin? Read the labels and keep your eyes peeled for terms like ‘oil-free’, ‘non-greasy’, ‘lightweight formula’ and ‘mattifying’. Look out for active ingredients like salicylic acid, glycolic acid, green tea etc, and avoid moisturisers with alcohol and essential oils.